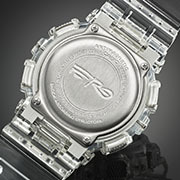 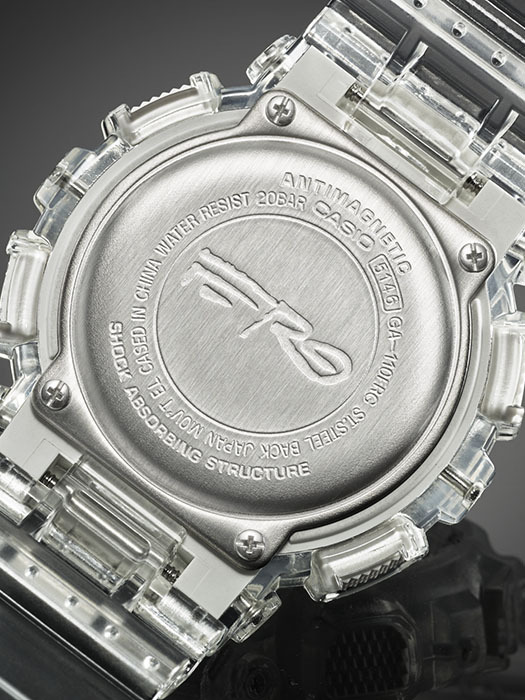 New timepiece created in collaboration with chart-topping rapper, A$AP Ferg. 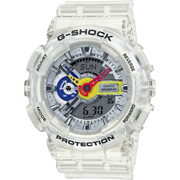 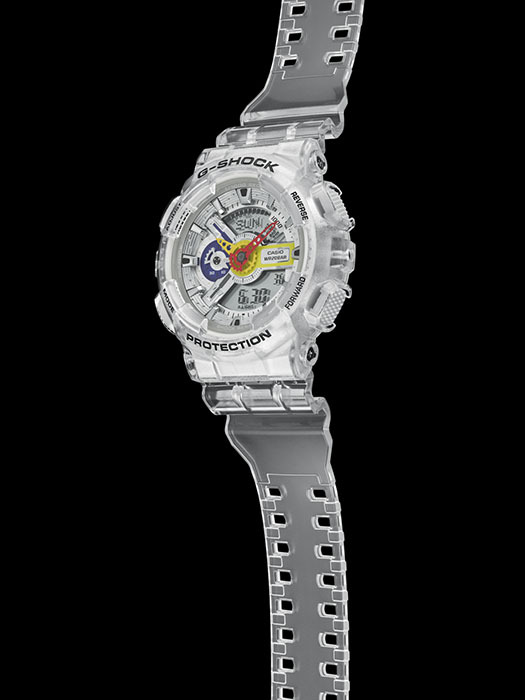 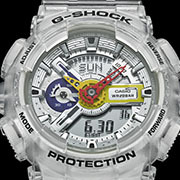 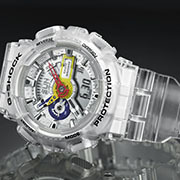 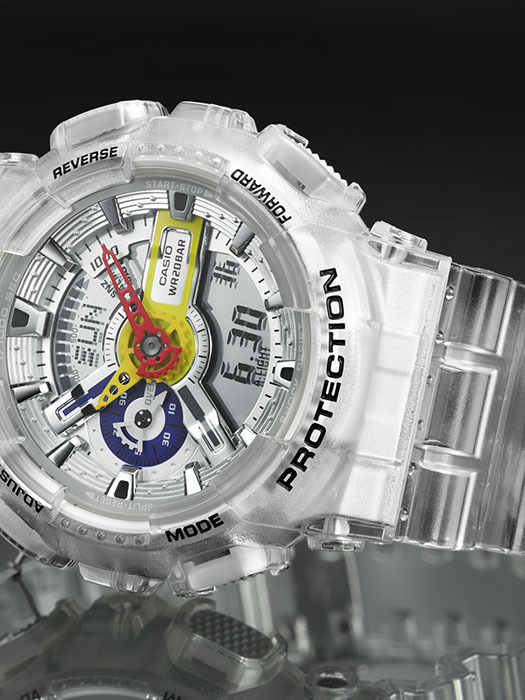 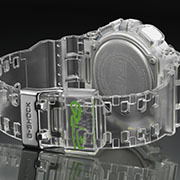 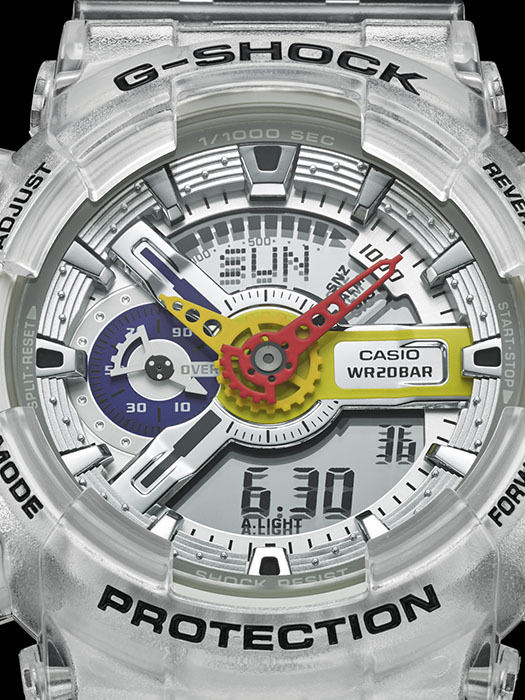 The watch, which is the first between G-SHOCK and the artist, is based on G-SHOCK’s original GA110 model. 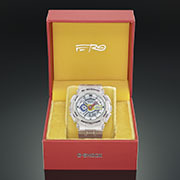 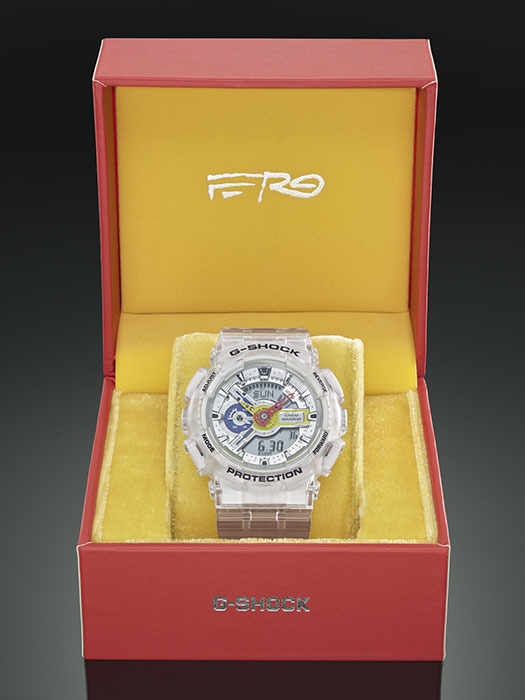 Featuring a clear resin band and bezel with blue, red and yellow accents on the dial face, the watch also features A$AP Ferg’s signature on the band loop and case back. 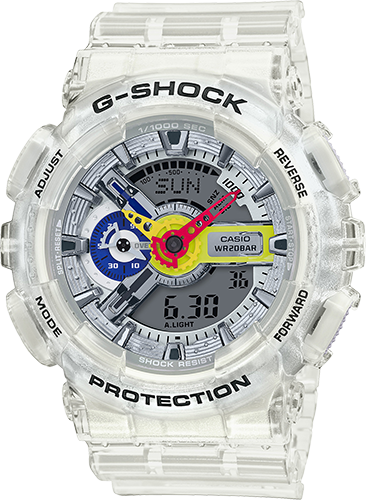 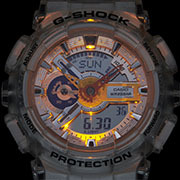 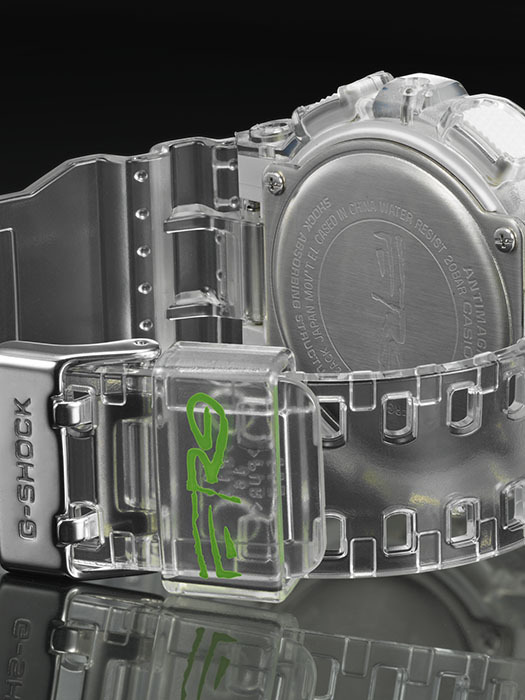 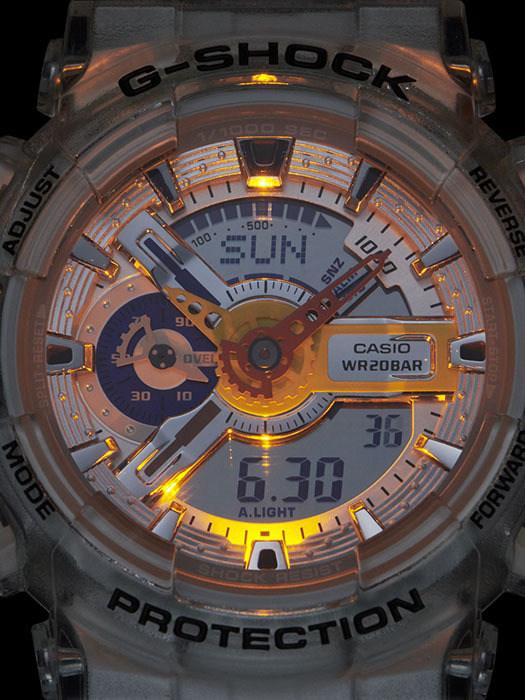 The watch comes in a custom limited-edition packaging.Featuring an expanded case size and large anti-skid buttons for easier accessibility, the GA110FRG-7A also boasts premium features such as a speed indicator and mute function.